Certify GSA Services helps companies, government agencies and contractors easily navigate the complex T&E policies set by the U.S. General Services Administration (GSA). 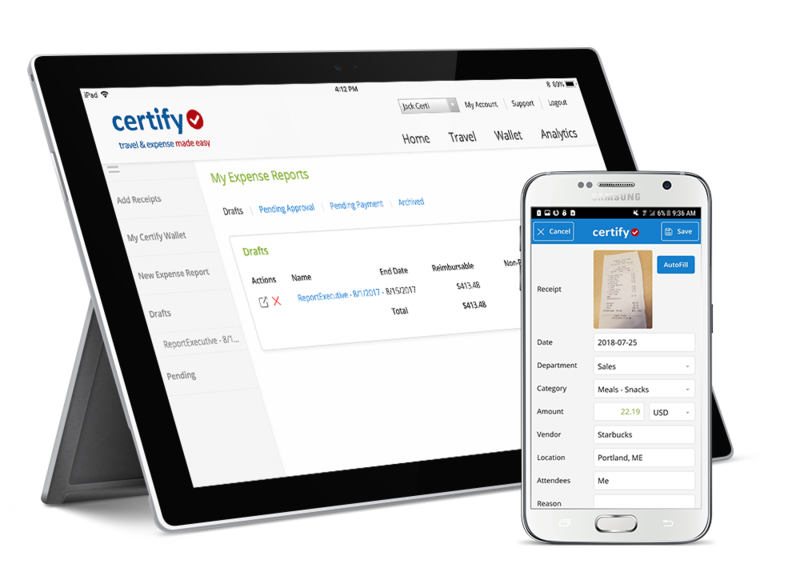 With Certify, you can automate cost savings, policy controls and T&E reporting for even the most complicated transactions and policies. Certify simplifies complex GSA policies for employees to clearly show how much they'll be reimbursed. For accounts payable, Certify also provides advanced reporting tools for greater visibility into travel and expense management spend by employee, department and more with custom output options available. GSA Destination—The primary destination use to calculate the GSA Rate. GSA Rate—Actual dollar amount allowed for lodging, meals, and incidental expenses used to calculate reimbursable amounts. GSA Amount—Combination of expense date, GSA Destination, and Travel Day representing the actual amount requested for reimbursement. The GSA Amount is also determined by expense and reimbursement type. Travel Day—The day a trip starts and ends, as well as days with travel between 12 and 24 hours. Travel days are calculated differently than the GSA Amount. Expense Amount—The actual amount spent by the expense report submitter. Expense amount does not automatically equal reimbursable amount. Employee is reimbursed for the actual expense amount. Per diem acts as a cap and prevents employees from exceeding the GSA capped amount for expenses. Employee is reimbursed for full GSA per diem amount regardless of expense amount. If an employee spends less than the per diem they are reimbursed the full GSA per diem amount. If they spend more than the GSA per diem amount the remainder is not reimbursed. No expense amount is entered, so employees may go over or under the identified GSA Amount. Company reimburses GSA amount determined by destination and travel day entries.